Kai Fan, owner and designer, Kai D Utility. In January I met up with Kai Fan, former Creative Director at Nautica, at his new Williamsburg shop Kai D Utility. Walking in you think -- Heritage. Utilitarian. Slow fashion. Durable. Explorer. Modern artisan. Craftsmanship. Stylish manly man. Fabrics are sourced from generations old mills and all production is in New York City's Garment District, handmade using non-automated machinery. Leftover materials are used to create his ties and notebooks to waste less. It's the antithesis to disposable H&M. 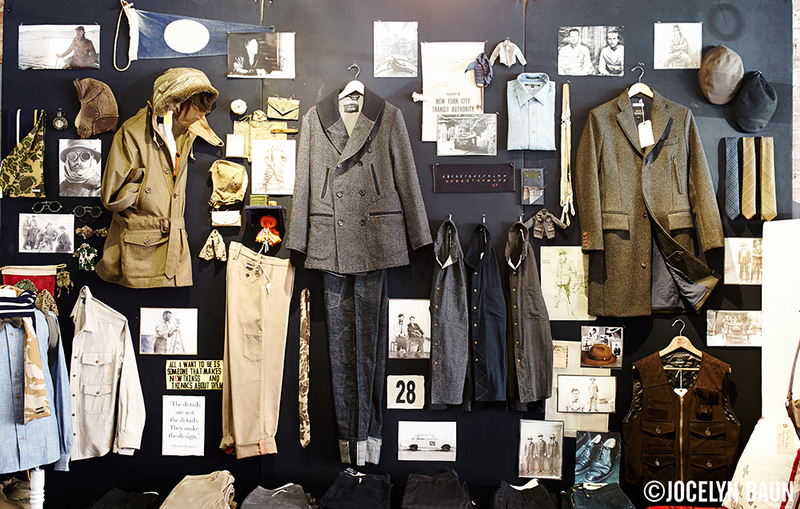 Inspiration wall at Kai D Utility in Williamsburg, Brooklyn. I love his shop and you will too! Check out more photos in the new BKNY MADE II section. I'll also be posting a few more images next week but on the blog only.